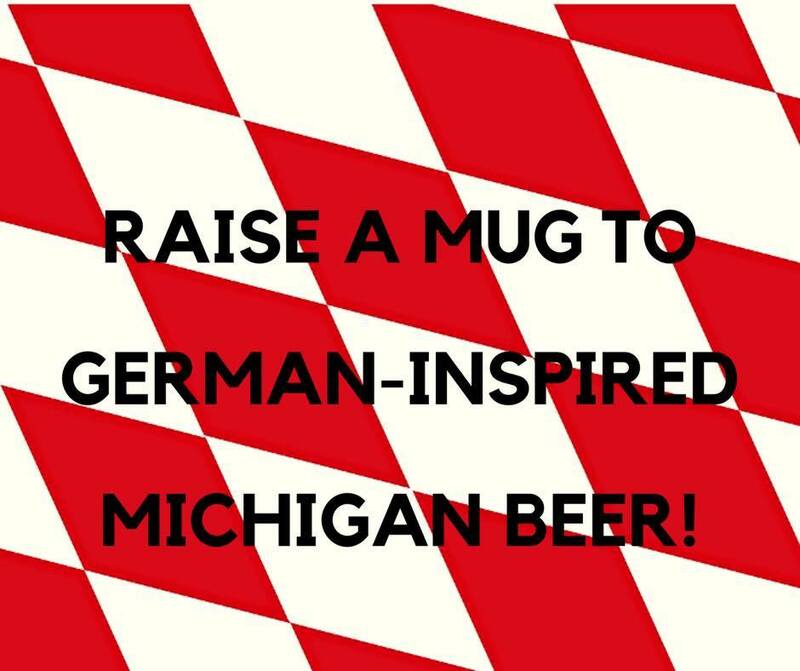 Raise a Mug to “German Beer Day” in the the Great Lakes State! As we all know, Michigan is overflowing with fantastic beer to be explored in every corner of the state. Today we’re going to be exploring the German side of Michigan, from single bottles to breweries who focus on German-style brews. You’re sure to find Germany’s influence all over this fine peninsula, from the shelves at your favorite beer store to your local brewery. There are countless taproom only German-style brews to explore, from the smoky Rauchbier to the wonderfully simple and refreshing Hefeweizen, so we’re going to be focusing on beers that you can find on the shelf at your local bottle shop. And since today, April 23, is apparently “German Beer Day” we thought we’d offer some insights into where to find German-style beers right here in the Great Lakes State! Firstly, there are a few breweries across this great state that place a heavy emphasis on German-style beers, so we’ll start there. Established in 1862, the Frankenmuth Brewery sits right downtown in the beautifully idyllic Frankenmuth, Michigan. Featuring a full restaurant and taproom, it makes for the perfect stop while exploring Frankenmuth, and offers a wide range of German-style beers supported by some American styles. Grab a seat in their large, open taproom, which overlooks the Cass River. Opening in 2015, Cedar Springs Brewing brought a new and exciting angle to West Michigan – a German Style brewery. With a full restaurant featuring classic German eats, the brewery offers classic German styles with a supporting cast of American styles, and is only a small jaunt north of Grand Rapids and Rockford, while remaining easily accessible from the freeway and the White Pine Trail. Grab a seat at the bar or the large, open taproom, grab an order of Schnitzel and enjoy a variety of their classic German brews. For those wondering, the phrase “Küsterer” refers to Christoph Küsterer, the first German Brewer in West Michigan who started producing around 1844. Now, let’s move into some of the great German beer styles and pair them with an excellent Michigan-brewed example. Ah, Octoberfest. A beautiful, refreshing and complex beer that never ceases to please the palate. There are many local taproom options for this seasonal fall favorite, and you’ll find many Michigan examples on the shelves, including options from Atwater Brewing Co., Bell’s Brewery, Dark Horse Brewing Co., Frankenmuth Brewing Company and Rochester Mills Beer Co. Some German beer styles don’t have readily available Michigan brewed examples, like the deliciously complex, smoky Rauchbier, and the supremely drinkable Dortumunder Lager and Kellerbier. That doesn’t mean that they won’t appear in your local brewery or brewpub, so keep your eyes peeled! Michigan offers a wonderful expanse of beer exploration, and as for the German styles, we are certainly not lacking, and they all pair excellently with friends. Cheers and Prost! Let’s raise a glass to Michigan Beer! Ben Darcie is based out of Grand Rapids Michigan and is a veteran beer writer, a 12-year homebrewer, public and private beer educator, and is stationed out of Gravel Bottom Craft Brewery & Supply in Ada, MI, just out side of GR.